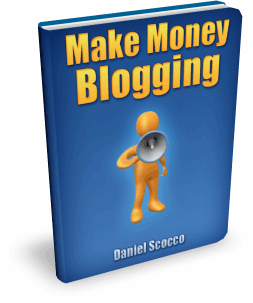 Kick-Start with Blogging and Making Money Online - Free EBook A Free EBook to Kick-Start with Blogging and Making Money Online – MillionClues! Today I would like to recommend a newsletter for you. If you have been reading me for a while, you might know that I am a fan of emails. I have subscribed to at least a dozen email newsletters, but this one is different. Finally, here is a hot tip that very few people know: getting external backlinks pointing to your HTML sitemap is very good for SEO. Because that link juice will pass directly to all the pages on your site. If you get a backlink pointing to an internal page (e.g., a blog post) it will need to pass through at least one hop before it passes juice to other pages. Links to the HTML sitemap, on the other hand, pass juice directly to all other pages on your site. You can sign-up for the newsletter here, just 3 or 4 emails a month. I bet you will love it. Subscription to his newsletter gives you two gifts, a free download of his 54 page EBook and 16 WordPress Themes. Make Money Blogging, IMO, is a good and comprehensive starting point for wannabe bloggers. It answers some very common questions of new comers, like, ‘What should I blog about?’, ‘How will I find readers?’, ‘How do I find ideas to blog about?’ and the like. I bet many have asked you the same question. Finally, it shows some of the most popular ways of making money online. Be warned, if you are a newbie, once you read this book, you will find everything very easy, but in real practice it is NOT. Be prepared to spend a good part of your life with your blog over the next year if you are serious about it. For those already deep into blogging, you will find it as a refresher course. You could use share it as a training material with those newbie’s who contact you. See if you missed anything. There is always a lot to learn. This is an additional EBook, but to get this one you have to sign-up for the Online Profits newsletter here. Go ahead, its worth it. 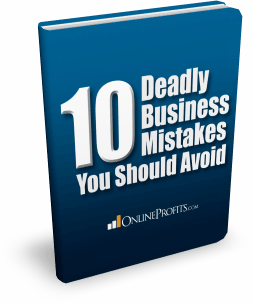 As the title says, it’s a compilation of top ten business mistakes. Each mistake is explained with real world examples and the book itself concludes with 10 directly applicable action points. In short this EBook is the sum total of many years of his experience with Online Business and Business models. Read it so that you don’t have to repeat these mistakes with your projects. I loved it. His tips are always good and effective, given his experience with many successful online projects including his very successful membership program, Online Profits. Not to forget, his fluid and sticky style of writing, pages will pass by effortlessly. One more thing, if you haven’t already, you should consider adding Daily Blog Tips to your RSS reader. Its one of the 3 blogs I track daily without fail. P.S: This post is a result of my pure appreciation towards whatever I have said above. Hope you find them useful. I still haven’t got around to reading Daniels book yet. His blog has some great content so I’m guessing the ebook is just as good!